It's Monday! Here's to an inspriational week! Alexander Calder (August 22, 1898 – November 11, 1976) famously known for his mobile art. Calder's parents did not want him to suffer the life of an artist, so he decided to study mechanical engineering.... Yet in the end Calder decided to move back to New York to pursue a career as an artist. Calder created over 2,000 pieces of jewelry. 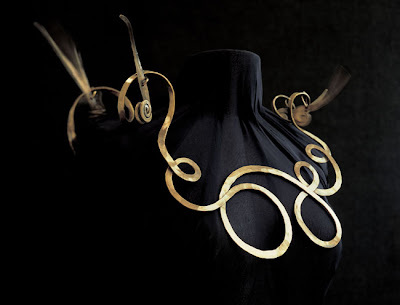 Many of his designs reveal a fascination with art from Africa and primitive shapes. 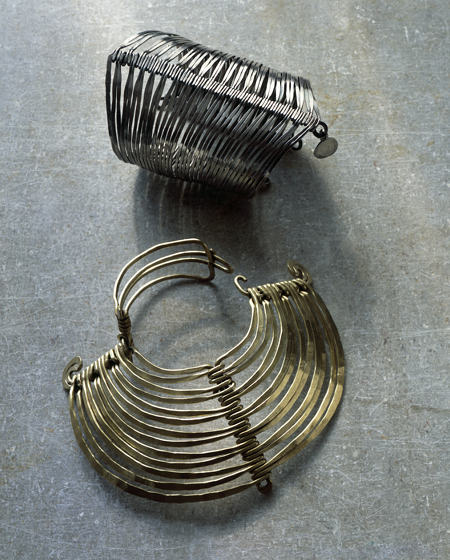 Calder's jewelry was mostly made of brass and steel, with bits of ceramic, wood and glass and rarely soldered. Calder joined strips of metal with loops, bound them with snippets of wire or fashioned rivets. Interested in seeing more Calder eye candy. Check out this Calder pinterest board. Arthur Smith (1917–1982) Trained at Cooper Union, Art Smith, an African American, opened his first shop on Cornelia Street in Greenwich Village in 1946. 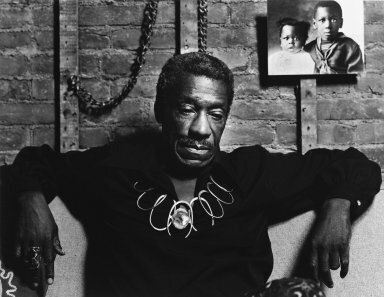 One of the leading modernist jewelers of the mid-twentieth century, Smith was also an active supporter of black and gay civil rights, an avid jazz enthusiast, and a supporter of early black modern dance groups. 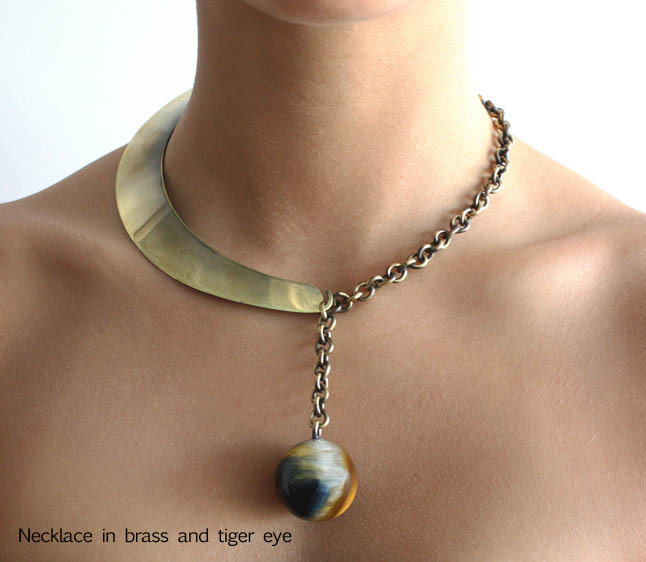 Art Smith was inspired by surrealism, biomorphicism, and primitivism, Art Smith’s jewelry is dynamic in its size and form and even though some are massive in scale, his jewelry is lightweight and wearable. 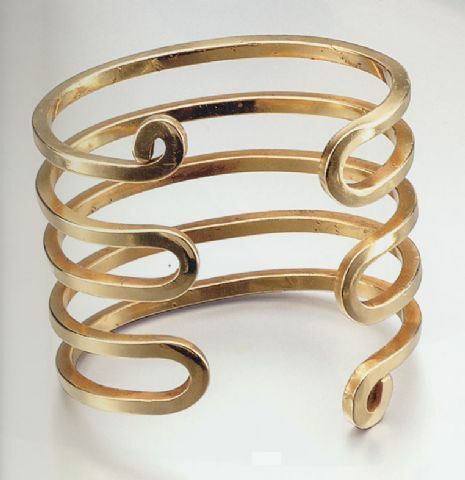 I love his use of primitive forms to create very modern designs. Happy Thursday! A little fashion eye candy for inspiration or wishlist. Rich. Warm. Yellows and Reds. Fiery Scorpio rules this month. Hope everyone had a wonderful week. 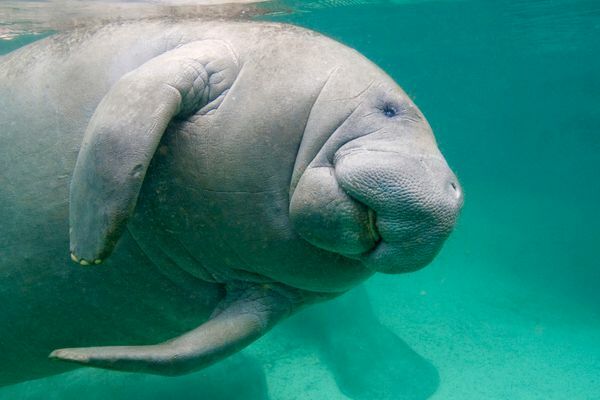 A little Friday Trivia- Did you know November is Manatee Awareness Month? It was news to me, but this makes me happy. Just look how adorable those chubby "sea cows" are. Apparently, even Christopher Columbus mistook them for mermaids. Not sure how that happened. Florida manatees are endangered and threatened by collisions with boat hulls and propellers, as well has habitat loss. 1) adopting a manatee (or two) through the nonprofit Save the Manatee Club. 2) Spread the love and share your knowledge. Protect what we love. 3) A portion of your purchase from my "by The Sea" collection goes towards ocean and sea life conservation. Current mood - Fierce meets Casual.